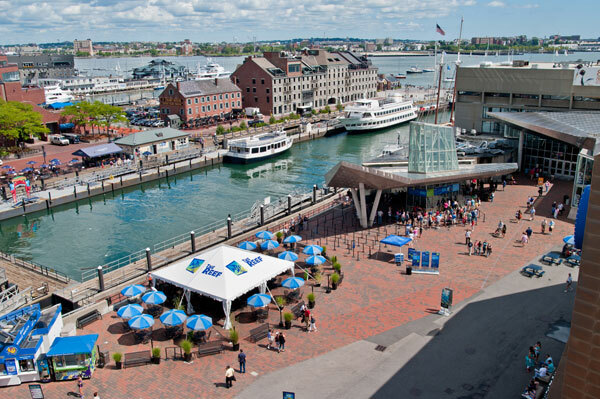 There are several tasty dining options at the New England Aquarium and in the surrounding neighborhoods. Take a moment to explore the options! We think you'll find something for every palate in your party. The Harbor View Café features a variety of burgers, pizzas, deli sandwiches, soups, salads, beverages and snacks, as well as sustainable seafood. Seating is on a first-come, first-served basis. 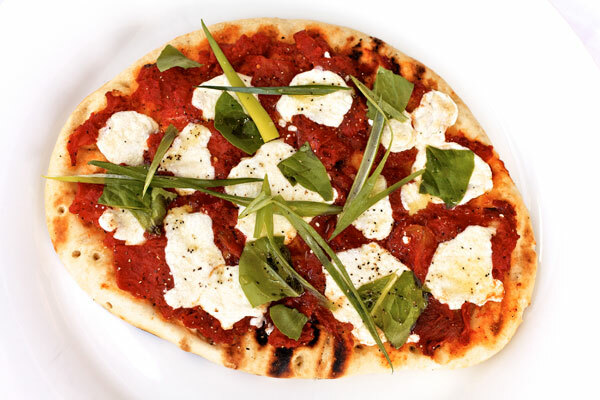 Prices are reasonable, with several options for a healthy lunch for a family of four under $35. The Harbor View Café offers dining options for families. Situated on the Aquarium Plaza during summer months with views of the harbor and the city, The Reef has some of the best outdoor seating in town and serves a delicious seasonal menu, beers and signature cocktails. You'll find a tempting variety of regional favorites, including luscious, meaty lobster roll sliders from Consulting Chef Barbara Lynch; New England-style Reef clam chowder made from sustainable clams; Margherita flatbread; and a steamer bar with sustainable clams, shrimp and mussels. Our in-house caterers also offer world-class dishes for guests attending private events at the Aquarium. And food options nearby range from sit-down restaurants just across the street to the food court at Faneuil Hall to harbor dinner cruises. There's a tremendous amount of variety, so eat up! 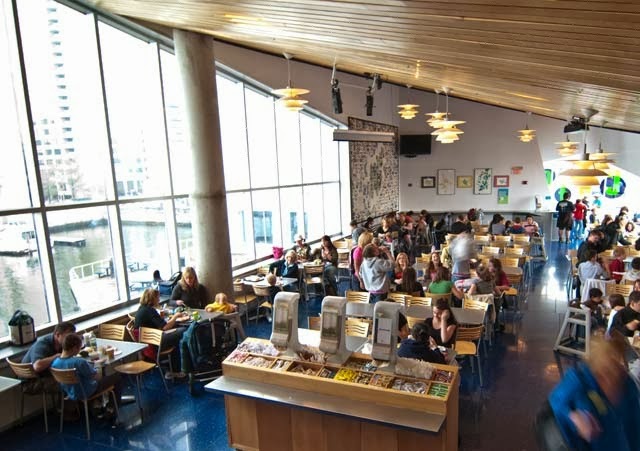 You'll need your energy to explore all the New England Aquarium has to offer—bon appetit. That's so great! I was thinking of writing to request that the menu become more sustainable and varied and here you have already gone and done it! Se Squirts with the wee ones is fantastic and I would love to see some smaller portion options or healthy children's meals that are not the same old fried fried plain Jane. Thank you! Keep up the good work!